October 24, 2015 from 2:00-4:00 PM. 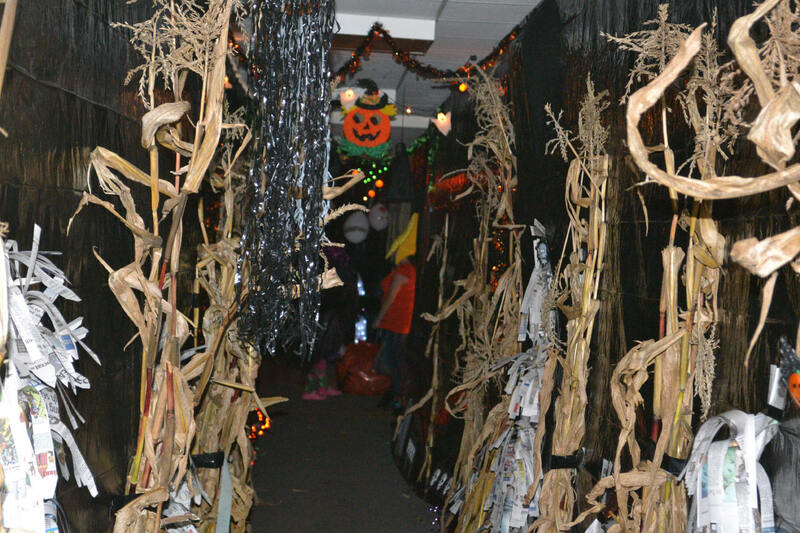 The Lutheran Youth Organization (LYO) plan to have this young youth friendly Halloween Hall (friendly Haunted house) in he lower level and there will be a Trunk and Treat located in the parking lot. 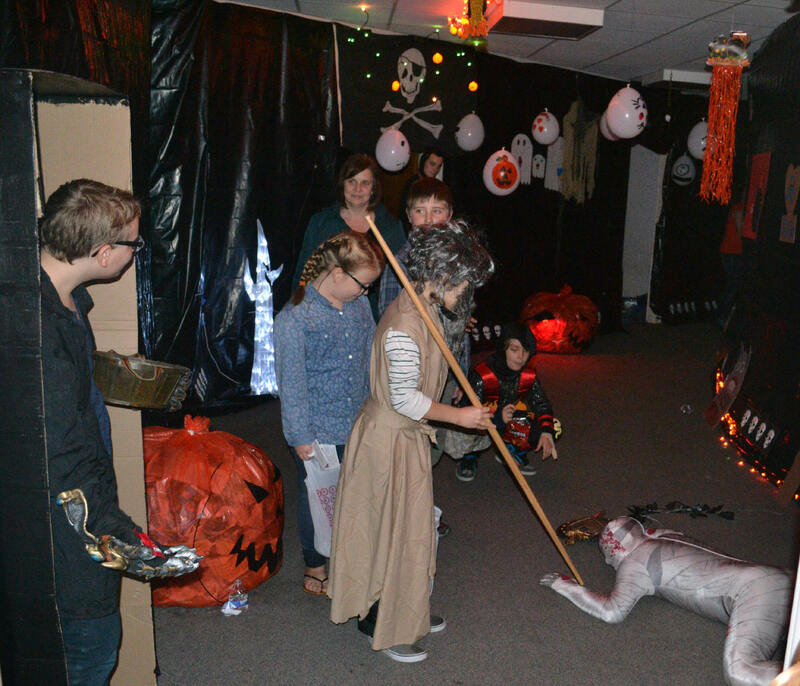 The Lutheran Church of Our Saviour Lutheran Youth Organization (LYO) is having this “Halloween Hall” (FREE, friendly Haunted house) so Children and adults can traverse the hallway in the lower level and meet characters & spooky things in the hallway. Each doorway will have a character sharing candy with the travelers of the “Hall” (Parents please note: this is a child very friendly Halloween haunt) There will be a place for donations at the end of the walkway. The proceeds are going to the elders fund to support needy families at Thanksgiving and Christmas. You can walk the hall and then join us in the Narthex for Cider, Doughnuts and coffee. This is FREE child friendly Halloween haunted house in the town of Gates , suburb of Rochester NY. 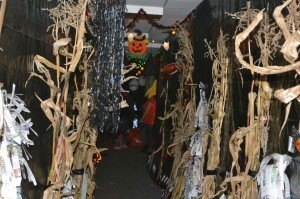 The Halloween Hallway is our version of a haunted house display. It is open to the community, FREE, and all are welcome. The Thrivent volunteer team will help set up the displays, act as guides, and do some haunting. This free event is open to the community. By providing a young child (target age “5”) a family friendly attraction we will promote family fun and interaction. 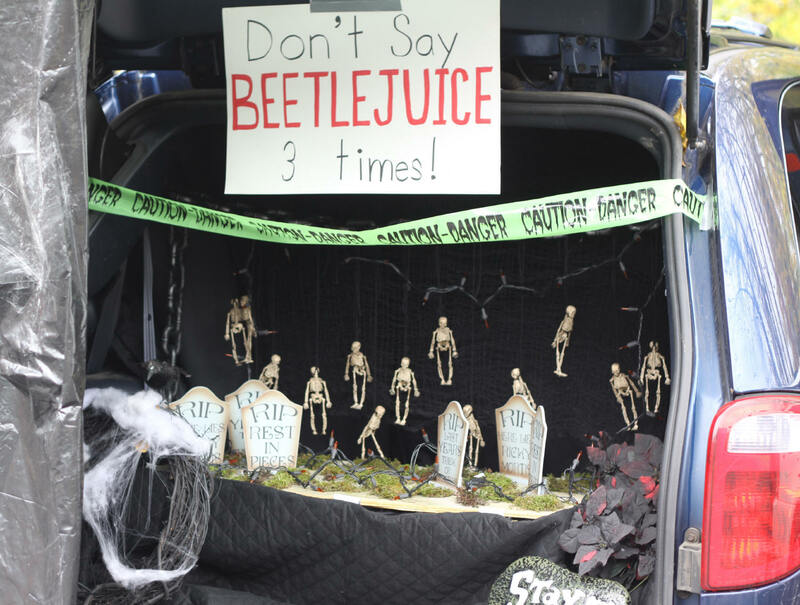 Also, several of our congregational members will have made their own displays in the parking lot for the decorated Trunk and Treat, working with their families to have a positive event. Thrivent Financial is a financial services organization that helps Christians be wise with money and live generously. As a membership organization, it offers its nearly 2.4 million member-owners a broad range of products, services and guidance from financial representatives nationwide. For more than a century it has helped members make wise money choices that reflect their values while providing them opportunities to demonstrate their generosity where they live, work and worship. For more information, visit Thrivent.com/why. (www.thrivent.com/why) You can also find us on Facebook (www.facebook.com/thrivent/ ) and Twitter (https://twitter.com/thrivent/ ).